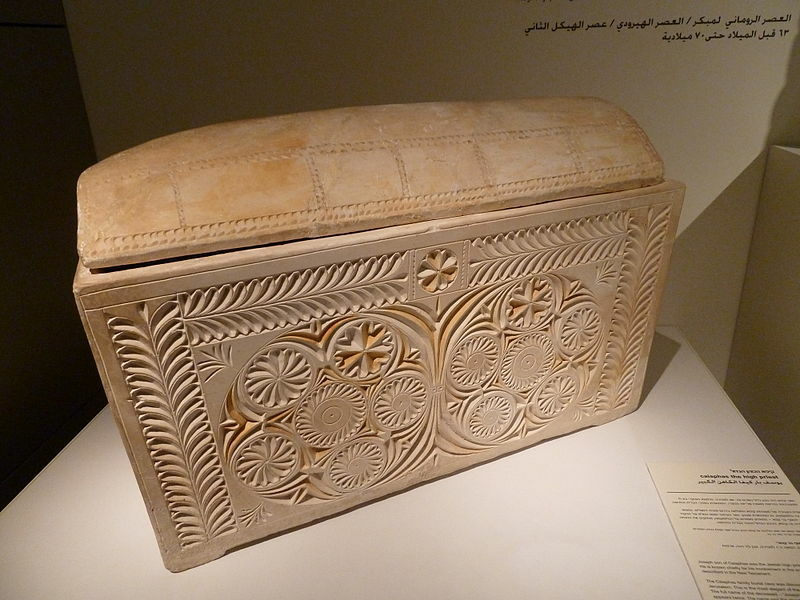 You are here: Home / What Really Happened at Jesus’ Tomb? 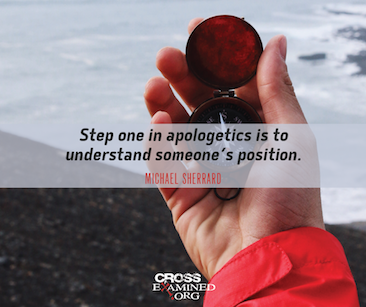 What Really Happened at Jesus’ Tomb? One of the earliest records of the events surrounding the first Easter was recorded in an early saying or “creed” which the Apostle Paul mentions in his epistle (or letter) in 1 Corinthians 15:3-8. It has been called the first Christian “creed” or Credo [Latin for ‘I believe’]. Although Paul refers to it, it is not original to him; it is Pre-Pauline. It very likely dates back to the earliest followers of Jesus – His first Disciples – those who waked with Him, lived with Him, those who watched the drama of His life unfold before their eyes…those who watched Him die…those who ate with Him and spoke with Him and saw Him after He reportedly arose from the dead. Part of how we know whether or not something happened in the past or not is through eyewitness testimony. Eyewitnesses can be reliable or not. One way (certainly not the only way) we can test whether an eyewitness is speaking the truth is through internal and external evidence that is consistent with other verifiable facts in a particular time period. Unlike mathematics or deductive logic, history allows us to make inferences based on the evidence that we have at hand as we study it carefully and determined if it is reliable. From this early creed – I would like to consider three facts that it is indeed genuine and bears the key marks of an authentic record of a monumental historical event – namely that Jesus did, in fact, rise from the dead. Many ancient texts, both Christian and non-Christian, record the death of Jesus providing details of the event. Nearly every scholar, liberal and conservative, attribute the passage cited earlier in 1 Cor. 15:3ff as written before PAUL and thus a foundational record of that event. The four Gospels also state that Jesus’ death was by crucifixion as well as nearly 10 non-Christian texts including the writings of Flavius Josephus (Antiquities of the Jews 18:3) and the Roman historian Tacitus (Annals 15:44) which mention Jesus’ death by crucifixion. Medical studies that have been conducted have concluded that the general cause of the death of Jesus to be due to crucifixion. The majority of medical studies report that crucifixion victims died of asphyxiation, as well as complications arising from other medical factors, caused by the arms being extended and fixed overhead while the weight of the body hung below. Archaeological evidence also supports the historical situation presented in the NT accounts of the Easter story with amazing accuracy. In the past few decades archaeologists in Israel have unearthed some remarkable discoveries which confirm at least two of the major characters associated with Christ’s trial before He was crucified: Caiaphas, the High Priest in Jerusalem who interrogated Jesus before the Sanhedrin & Pontius Pilate, the Roman official in charge of governing Judea in the First Century (see Matt. 26-27). 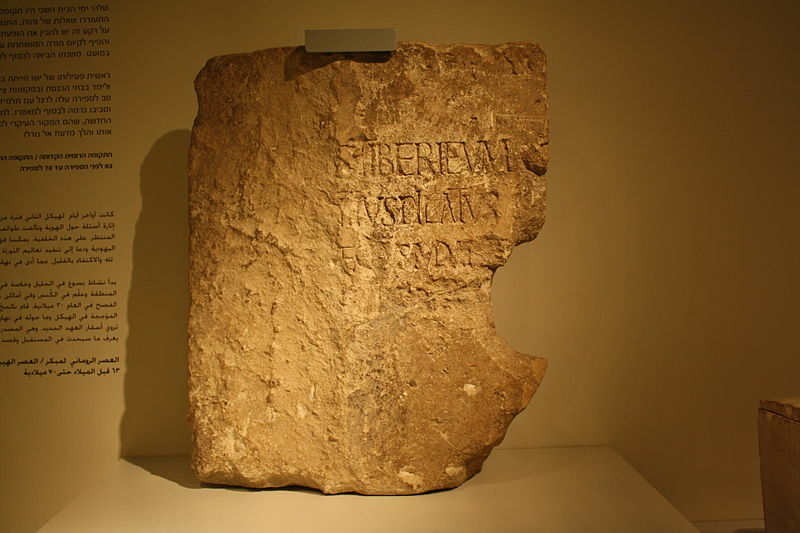 The Pontius Pilate Inscription was discovered in 1961 by Italian archaeologists excavating in the Mediterranean port city of Caesarea Martima (named in honor of Octavian by Herod I). 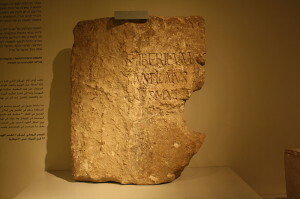 The Pilate inscription was discovered on a slab used for a remodeling project in the fourth-century. The Latin inscription reads, “Pontius Pilate, Prefect of Judea” – the exact title given to him in Luke 3:1! Aside from a few references by Roman historians, the New Testament is one of the only other ancient sources which give information about Pilate and his fateful encounter with a young rabbi from Galilee named Jesus. It was that same Pilate that stood before Jesus and asked the most perennial question of all time, “What is truth?” (John 18:38). Crucifixion – It’s very likely that the Romans learned & perfected crucifixion from the Carthaginians, whom they warred with from 264-146 B.C. (known to historians as the Punic Wars). Even the Greek historian Herodotus records the crucifixion of a Persian General by the Athenians as early as 479 B.C. (Histories, ix. 120–122). It was certainly one of the most painful methods of execution ever contrived in history. In fact, the English word, excruciating is derived from the word crucifixion. First-Century Crucifixion Victim – By the first-century A.D. the Romans utilized crucifixion as a means of execution in certain provinces in the Roman Empire. We know they certainly utilized it in Jerusalem in the first century. In 1968 the remains of a first-century crucified man was discovered in an ossuary in a northern suburb of Jerusalem. Based on an Aramaic inscription on the ossuary archaeologists were able to recover the name of the victim as Yohanan ben Ha’galgol. The signifcance of this discovery was that the anklebone of the victim was still pierced with a seven-inch nail with fragments of the wooden cross still embedded in it – a vivid testimony of the historical reality of Jesus’ own crucifixion two thousand years ago. The earliest followers of Jesus were Jewish, so they appealed heavily to the Old Testament Scriptures as proof that Jesus was indeed the promised Messiah He claimed to be. 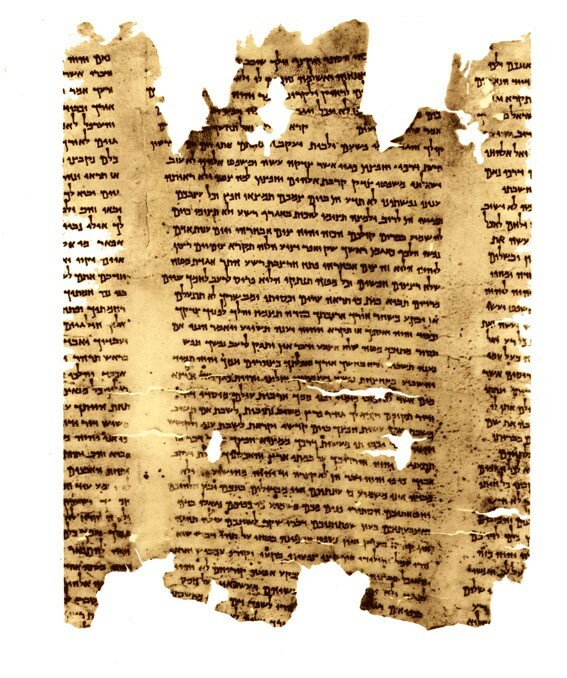 There’s not enough space here to cover all of the references and passages about the promised & predicted Messiah, but two really stand out above all the rest: Isaiah 53 (a prophecy of Isaiah) and Psalm 22 (a lament of David) – both were discovered in a cache of Dead Sea Scrolls (recovered from 1946-56) near Wadi Qumran near the Dead Sea. Both OT passages refer to the Jewish Messiah’s particular method of execution and one even mentions that there would be those who would gamble for His garments when He was crucified and that He would be buried in a rich man’s tomb. 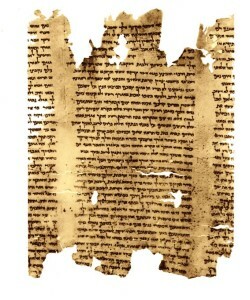 Both ancient manuscripts date minimally to at least two hundred years or more before Jesus was ever born and internal evidence from Isaiah dates it to seven hundred years before Christ was born (in the 8th Cent. B.C.)! The Psalms were likely composed between the 9th or 10th Century B.C.! The Apostle John in John 7:1-5 reports that James the half-brother of Jesus was an unbeliever and apparently rather cynical regarding Jesus’ public ministry (just imagine if it was your brother who claimed to be God!). Jesus’ other brothers even sought to remove Him from public eye because they thought He was insane (Mark 3:21) – but later in Gal. 1:18-19; Acts 15:13-21 – we learn that James had become the leader of the early church in Jerusalem. It is highly likely that James was transformed by something or someone he saw and had a huge change of heart about his half brother Jesus. What was it that changed the mind of James? The most likely explanation was that James had seen the risen Jesus. The Pharisee, Saul of Tarsus (later, Paul) who was an early persecutor of Jesus’ followers, also had an experience that changed him forever. 1 Cor. 9:1 & 15:8-11 gives us a first-hand account of this experience and it appears three other times in Acts 9:1-9; 22:1-11; 26:9-19. The other apostles confirmed Paul’s experience. Paul even made at least two trips to Jerusalem to speak with the apostles in order to talk to them about the “gospel message” He was preaching. On his second trip to Jerusalem Paul met with two of the chief apostles, namely Peter, James the brother of Jesus and John. Paul specifically explained that the purpose of His coming was to identify the nature of the Gospel that he was preaching and that he wanted to be absolutely sure that he was correct (Gal. 2:2). There are many other detailed eyewitness details which testify that the New Testament writers were telling the truth. For more on this see chapter 11 ‘Top Ten Reasons We Know the New Testament Writers Told the Truth’ in our book, I Don’t Have Enough Faith to be an Atheist (pg. 275ff). Why would the apostles lie? …If they lied, what was their motive, what did they get out of it? What they got out of it was misunderstanding, rejection, persecution, torture, and martyrdom. Hardly a list of perks! When we sift through the creed recorded by Paul in 1 Cor. 15:3 – verse by verse – we can see from this brief survey, that it stands (and has stood) the test of time and history – that ancient documents of the New Testament are reliable and that Christ has indeed risen from the dead! 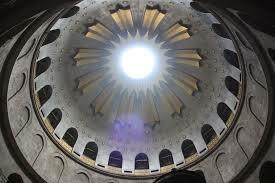 Make sure to comment and share: What Really Happened at Jesus’ Tomb? Adapted from Gary R. Habermas, “The Core Resurrection Data: The Minimal Facts Approach,” William Dembski and Thomas Schirrmacher, Editors, Tough Minded Christianity: Honoring the Legacy of John Warwick Montgomery (Nashville: B&H Academic, 2008), 388-405. There are many others in addition to these, such as Suetonius, Thallus, Pliny the Younger, et. al., cited by Gary Habermas in, The Historical Jesus: Ancient Evidence for the Life of Christ (Joplin, MO: College Press Publishing, 1996), see chapter 9. For instance, William D. Edwards, Wesley J. Gabel and Floyd E. Hosmer, “On the Physical Death of Jesus Christ,” in Journal of the American Medical Association 255 (1986). Habermas, “The Core Resurrection Data: The Minimal Facts Approach,” 401. Randall Price, The Stones Cry Out: What Archaeology Reveals About the Truth of the Bible (Eugene, OR: Harvest House Publishers, 1997), 305.